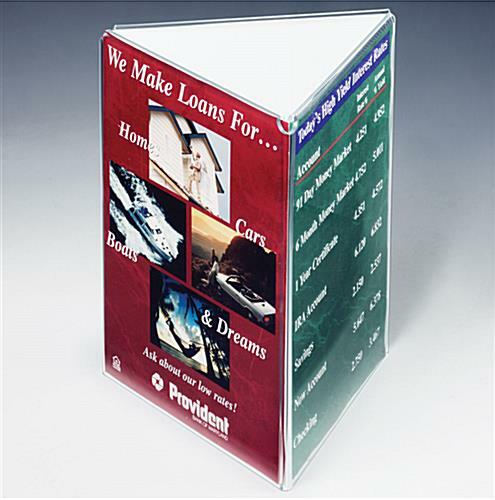 This Picture Frame Gets Your Ad Noticed! 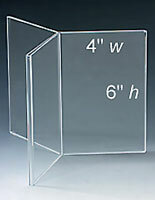 This Picture Frame Displays Three Items At Once! 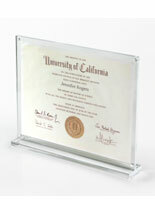 Tri-Fold Picture Frame- Your signs are inserted from the bottom in this tri-fold picture frame. 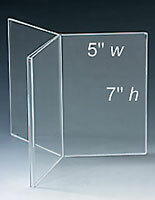 This picture frame has three acrylic fold-over panels for 8-1/2" wide by 11" high images. 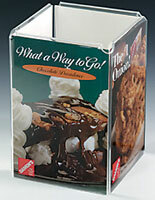 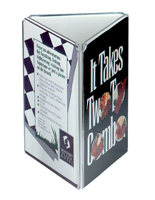 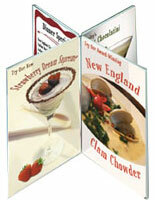 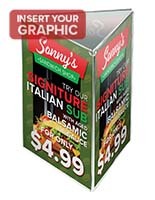 Also known as a restaurant display stand or as a table tent! 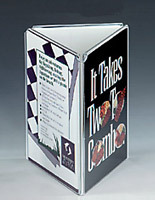 Put this picture frame in your lobby, restaurant, or hotel to exhibit your vertical format sign.